I am a Full Stack Engineer and I love to build beautiful products. 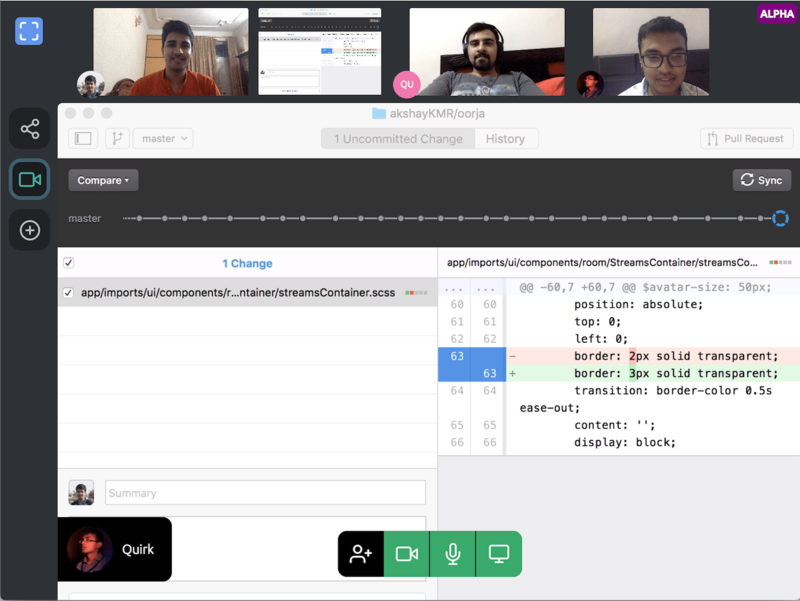 oorja is built with React, WebRTC, Meteor and Elixir. It is extensible by design. The tabs are react components which utilize a simple but powerful mini-api (using props and some event listeners) to add more capabilities to the room on demand. A microservice used in oorja for realtime messaging between room participants and relaying important events that happen at the backend. [ Github ] Written in Elixir using the Phoenix framework. I'm begining to like Elixir, its rugged and you get a lot of cool stuff for free. A python package to analyse hops taken by an email to reach you. Gives structured information about each hop - Hostname, Protocol used, Timestamp, and Delay. Also made a small [ Webapp ] for ease of use (hosted on free heroku, may take a few seconds to spin up). TDD proved amazing for this python module. It forces you to think how to structure your code and gives confidence when refactoring. Developed and shipped many new features and improvements for our SAAS product, working full stack involving - Product API, various backend Micro-services, Kayako frontend single page application and Kayako Messenger widget. Final year of college, I wanted to develop a polished application end to end. It's still in alpha though, that last 10% of product development takes exponential effort compared to the first 90%. About oorja: A quick to use app for collaboration with video/voice chat, extendible using react components through which which more functionality can be added dynamically (such as realtime document editing, synced code editor and more). It uses some of the latest features in web browsers namely WebRTC, therfore please use Chrome or Firefox. An amazing summer internship at Kayako. Worked on developer.kayako.com's content and search. Also became familiar with CI tools and JIRA. Read my medium post . Per process bandwidth monitor. A python package utilizing nethogs cli tool for data and providing a web based GUI. I made it for my college assignment, it ended up on [ HackerNews ]. Met awesome people and experimented with interesting technologies. A cordova based iPhone app to analyze faces in selfies. Uses alchemy vision api.